4 How Do I Thicken Blueberries to Make Pie Filling? With Thanksgiving just around the corner, many of you are probably starting to plan your holiday menus. And if Thanksgiving in your house is anything like it is at my grandparents’ house, chances are you’re going to be eating a lot of delectable food (stuffing! cranberry sauce! green bean casserole!) that isn’t necessarily great for you. This pie, however, is an exception: It’s both delicious and nutritious, meaning you don’t have to feel guilty about ending your Thanksgiving feast with a piece of pumpkin pie. I’d be lying if I said it tastes just like your granny’s pumpkin pie (because it doesn’t), but there’s no denying that this pie could give granny’s a run for the money. 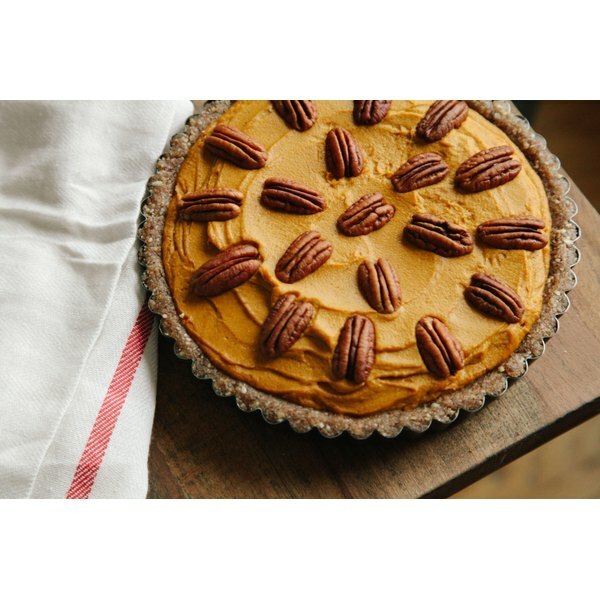 The combination of pecans and oats make for a rich, flavorful crust, and the cashews add just the right amount of creamy depth, like that found in the filling of traditional pumpkin pies. 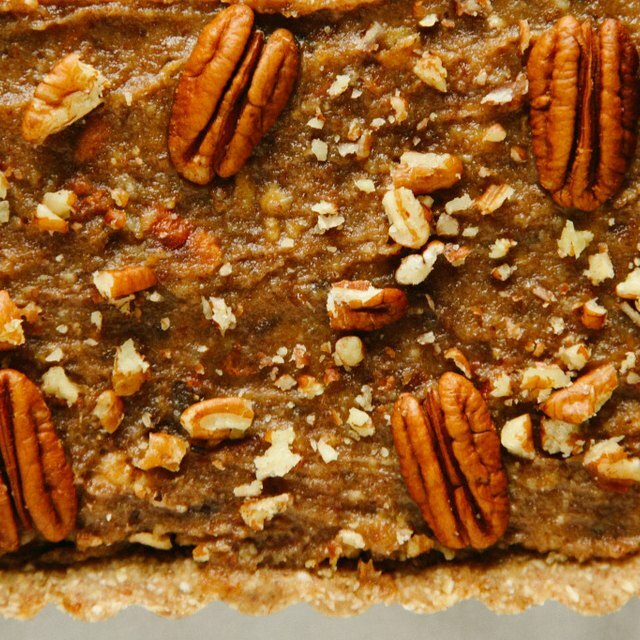 And if pumpkin isn’t your thing, how about a healthy alternative to pecan pie? If you don’t want to make one big tart, feel free to make this recipe as individual tartlets or in small jars. If you want to make this raw/Paleo, substitute an additional 1/2 cup of raw almonds for the rolled oats and be sure to use raw pumpkin puree (I grate the pumpkin flesh then blend it on high speed in my Vitamix, although many people dehydrate theirs first). This recipe works best with a high-powered blender, but if you don’t have one, just soak the cashews for 24 hours — 4 hours at room temperature, the remainder in the refrigerator. Line the bottom of an 8- to 9-inch tart pan with parchment paper; set aside. In a food processor fitted with the S blade, blend the pecans, almonds and rolled oats into a fine meal. Add the dates and process just until combined, then add the almond milk and process until the mixture turns crumbly. Press the mixture into the tart pan; set aside. In a high-powered blender, blend all the filling ingredients on high speed, scraping down the sides as needed. Once the mixture looks smooth (this will take 1 to 2 minutes), pour it over the crust and level with the back of a spoon. Decorate with pecans, if desired. Transfer the tart to the freezer and chill for at least 6 hours, or until set. Once set, cover with plastic. It will keep frozen for up to six weeks. The night before serving, transfer the pie to the refrigerator. Serve within 24 hours or transfer it back to freezer.